Explore the biggest current UK discounts on delicious Casillero del Diablo wines. Use various filters to go straight to your selected range or seller. Read reviews, find awards and be inspired by our Deal of the Day. Sign up to Price Alerts so we can notify you when your favourite bottle goes on sale. The 'cellar of the Devil' is how the name translates, and Casillero del Diablo has one of the best legends behind any wine label in the world. The leading light of Chilean wine brands in the UK, Casillero is loved by wine consumers and wine writers alike, for its high quality, reliability, and consistency. Over 8% of all wine sales in the UK are now from Chile, and Casillero has been the pioneer of this. What's The Background To Casillero del Diablo? 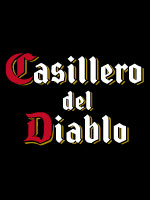 Casillero del Diablo is the best known brand of Chilean wine, owned by the biggest wine producer in Chile, Concha Y Toro. The legend of Casillero del Diablo was created by the company’s founder, Don Melchor, over 120 years ago, when he noticed that some of the finest wines from his cellar were disappearing. He spread the rumour to the local village, that a devil lived in the cellar, to discourage the thieves. The wines remained in the cellar after that, but the legend lived on! Today, Concha y Toro is one of the world’s most respected and highly regarded wine companies, exporting to over 135 countries across the world. The flagship is undoubtedly Casillero del Diablo, with its strong, iconic label, and a wide range of grape varieties, produced from different wineries, within the Concha Y Toro ownership, to pick the best from each region. Chile’s long, narrow shape covers over 10 degrees latitude from north to south, from the cold climes of Patagonia, to the almost tropical conditions at the far north of the country. Concha Y Toro own and have planted vineyards across the length of the country and each grape variety is grown in the region, best suited to it. The cool, coastal wine region of Casablanca produces fresh, elegant white wines, whilst the warmer, more central valleys of Colchagua are the perfect climate for Cabernet Sauvignon and Shiraz. In Total, Casillero wines are produced from 7 different wine regions in Chile, from the most northern Limari Valley, to the deep south, and the emerging cool climate Bio Bio Valley. Casillero del Diablo covers a wide range of styles, encompassing all of Chiles’ best known grapes, and a few lesser known ones. It’s consistently one of the most acclaimed of the big wine brands, in terms of awards and experts recognition. The Reserva range in particular has probably the widest selection of styles and varietals of any Chilean brand, with the focus on representing true varietal character, and an expression of the grape and the region. The wines are lovingly made under the eagle eye of head winemaker Marcelo Papa, one of the best known and respected winemakers, not only in Chile, but in the world. What Styles of Wine Does Casillero del Diablo make? Casillero del Diablo produces a fresh, dry, fruity sparkling wine, but the rest of the range are wines named after individual grape varieties. The range covers over 12 different wines and styles, including well known international varieties such as Sauvignon Blanc, Chardonnay and Cabernet Sauvignon, to Chile’s national grape variety, Carmenere. The freshly crisp, and zesty Sauvignon Blanc is probably the best known of the whites, and acts as a benchmark for good quality Chilean Sauvignon Blancs, as an alternative to New Zealand. In terms of reds, the flagship is the Cabernet Sauvignon, which has an incredibly intense expression of pure blackcurrant fruit, which is typical of this grape, and is viewed as one of the very best value wines at its price level in the UK wine market. But explore the range further, and the purity of fruit, elegance of style, and quality is obvious. Fresh, fruit- focussed Chardonnay and Viognier, with character, charm and a delightful vivacity; delicate, yet fragrant Pinot Grigio, the current darling of the white wine world; a strawberry pink, red fruit bowl of a Rose Shiraz; and then some real stars with a raspberry scented, juicy Pinot Noir, plummy, chocolatey Merlot, a bold, but soft as silk Shiraz, a venture into Argentina’s territory with a fleshy, spiced up Malbec, and then to Chile’s signature grape variety, Carmenere, a rich, flavour packed, full bodied style of red, jam packed with black fruits and spice. This is the Reserva range; the next step up the scale is the Reserva Privada selection, which takes each of these grape varieties to the next level in terms of expression, concentration and style. Chardonnay – the rich, tropical fruit flavours work well with buttery roast chicken, creamy fish dishes, and soft cheeses. Sauvignon Blanc – fresh, zesty, with a gooseberry, herbaceous edge, these refreshing wines work with seafood, Indian and Chinese dishes, and fresh salads, such as goats cheese or tuna. Pinot Grigio – light, fragrant, and easy drinking, it’s lovely on its own, or delicious with delicate salads, seafood pasta, grilled fish, and light styles of risotto. Viognier – the Viognier grape is aromatic, intense and very fruity, with an apricot hint, so this one is great with pork with apple, duck in a fruity sauce, and also fruity middle Eastern and north African dishes. Shiraz Rose – a bowlful of strawberries and raspberries, this is intensely fruity, yet dry, and a great match with either salmon, tuna, or even better with Indian spiced fish. Cabernet Sauvignon – rich, silky and packed with blackcurrant and mint fruit, great to go with roast beef, roast lamb, and spicy Mexican food. Shiraz – the great stalwart of Australian reds, but now equally successful in Chile, look no further than steak or a spiced up barbecue selection to fit the bill. Merlot – soft, fleshy and juicy, great with stews, pies, sausages and barbecues. Pinot Noir – a juicy, low tannin, lighter style of red, produced in the cooler regions of Chile, perfect with spicy Indian or Thai red meat dishes, duck, venison and chicken. Carmenere – Chile’s national grape, its scented, rich, spicy, with a violet edge, and a hint of mocha; it’s great with barbecues, roasts and steaks, but is viewed as the perfect red to go with curry, so look no further. Malbec – the national grape of Argentina, this is a big, bold, bruiser of a wine, with a deliciously moreish edge of spice and richness – it’s got to be steak or roast beef!